The Kruger Park is enormous. It covers 19,485 square kilometres (7,523 sq. miles). It extends 360 kilometres (220 mi) from south to north. 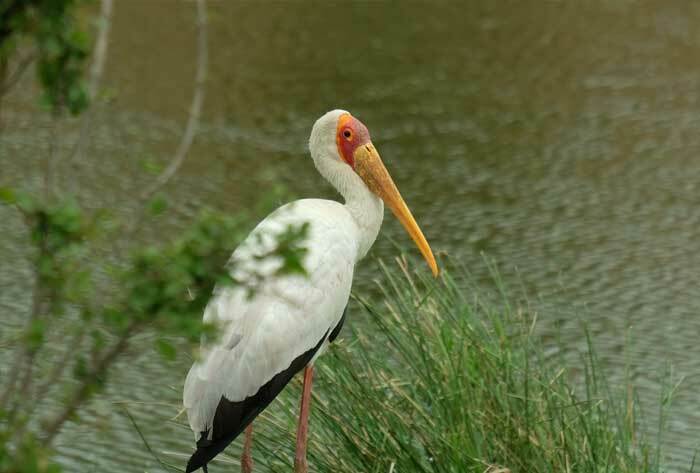 As one moves from south to north, it has significantly different vegetation and terrain which affects the animal distribution, density and diversity – offering the visitor with many alternatives for game viewing and landscape sightseeing. While planning your dream safari, it’s a good idea to understand the subtle differences as it will help you plan your safari. Of course we will give you loads of info and insight to help you decide where you want to go and what you want to see. The major rivers in the park make excellent informal boundaries as we move south from the Crocodile River which marks the southern boundary of the park to the Limpopo River which marks the northern boundary. The highest concentrations and large diversity of species mean some of the best game viewing. The Big 5 – lion, elephant, leopard, buffalo and rhino – are found here and it’s not difficult to have excellent sightings of them, along with the other big animals… cheetah, giraffe, zebra, wildebeest, warthogs, hyena, jackals and the other large animals. There are several perennial rivers in the region with large populations of hippo and crocodiles. 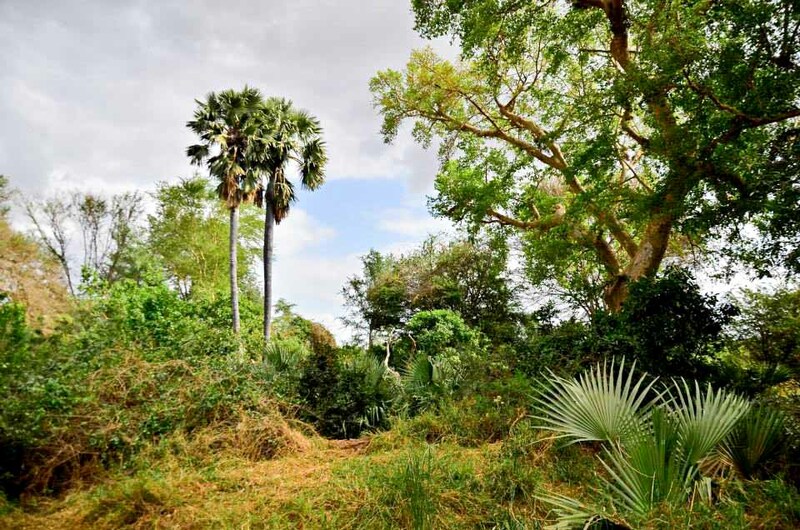 The landscape is beautiful and provides stunning game drives – from hilly foothills in the south western portion of this area – to mixed woodlands in the central section – to vast open grass plains in the east. Each area provides different game viewing experiences. Owing to the higher wildlife density and the southern area’s easy accessibility, the majority of tourists, especially the packaged tours, are found in this region. And it can be particularly busy during high season. 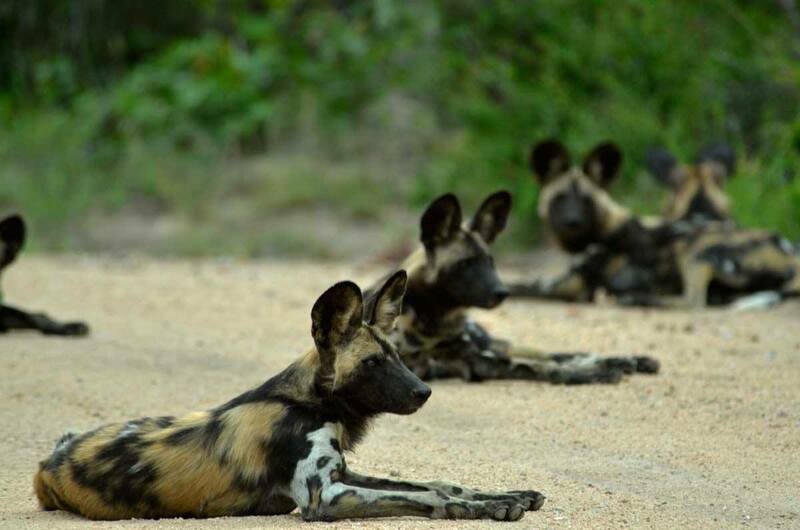 However, you can get away from the bustling groups of tourists with the right guide … and our guides like to follow the back roads and less-travelled routes and seek out the quiet places for game viewing. Two dramatically different safari experiences and fantastic for game viewing. The western side has rolling hills, beautiful thickets and striking dry riverbeds that flow but a few days a year. It is a good area to see the Big 5. In fact, all the cats can be seen in this region, and the area is known for its sightings of the exquisite cheetah. 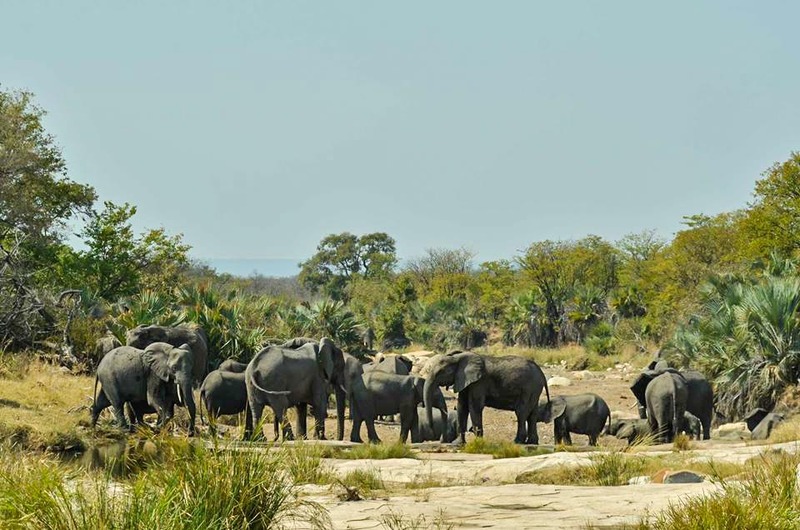 Game drives in this area are consistently great and you’re likely to have lovely sightings of giraffe, zebra, warthogs, wildebeest, all sorts of antelope… all the iconic African safari animals. The eastern side of this region can offer some of the best safaris in the park. It offers the iconic African landscape… extremely open grassy plains dotted with thorn trees. These provide excellent grazing for the impala, giraffe, zebra, warthogs, wildebeest and other herbivores … and the big herds attract the predators. In fact, this area is famous for its lions. This area is definitely the best place to view for game viewing! The beautiful Lebombo Mountains in the east form the border of the park and a beautiful backdrop for the savannah landscapes. 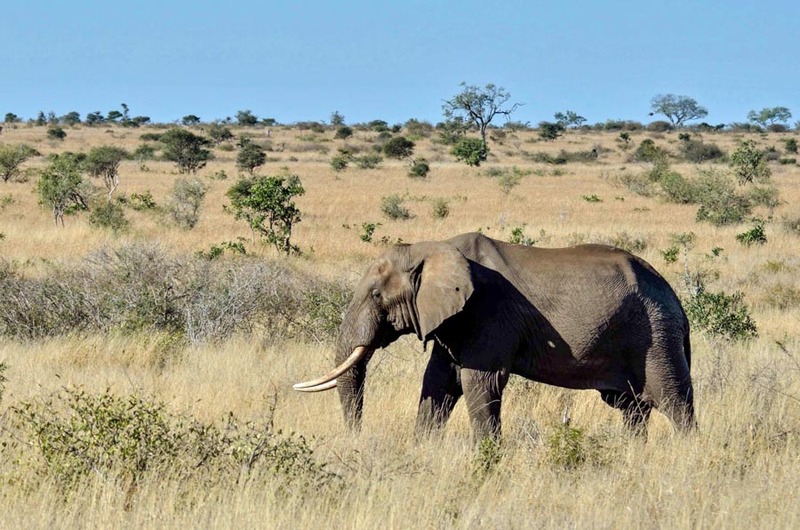 Enormously wide open spaces and a sense of relaxed, old Africa game viewing. This region consists of flat mopaneveld with rolling hills in the west and dotted with spectacular kopjes (small granite hills) that rise dramatically out of the flat landscape. 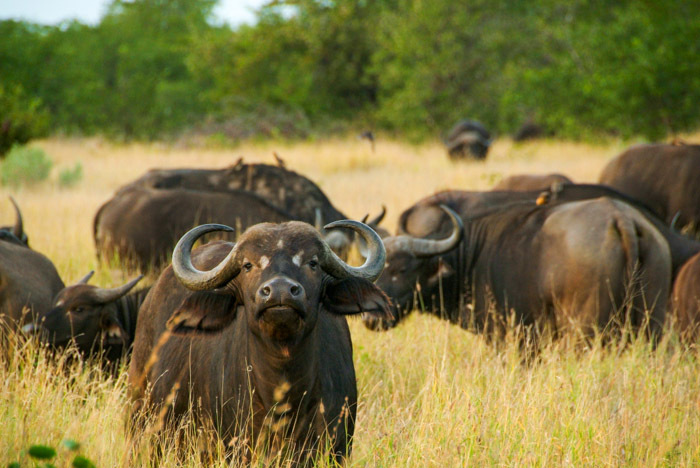 The region is famous for its big herds of elephants and enormous breeding herds of buffalo (up to 2,000). The elusive leopard is commonly seen in this area and there is always chance for lions. Sightings of general game (giraffe, zebra, impala, warthogs, wildebeest, etc.) are consistently good. 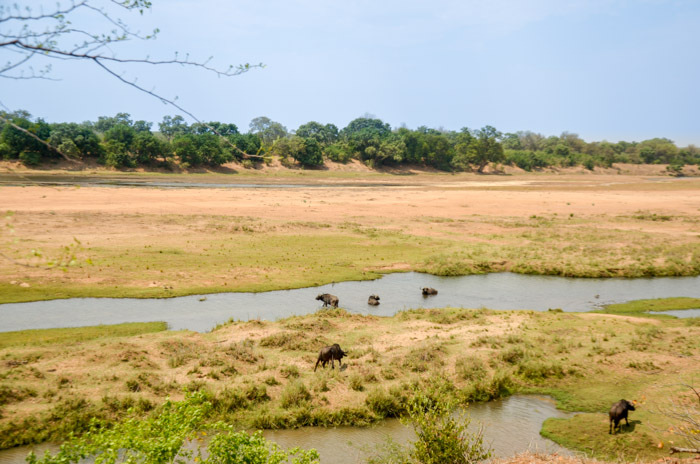 The area is bisected by three rivers and the game drives are very picturesque along the green banks and provide lovely sightings of crocodiles, hippos and waterbuck, along with the other game that come down to drink. 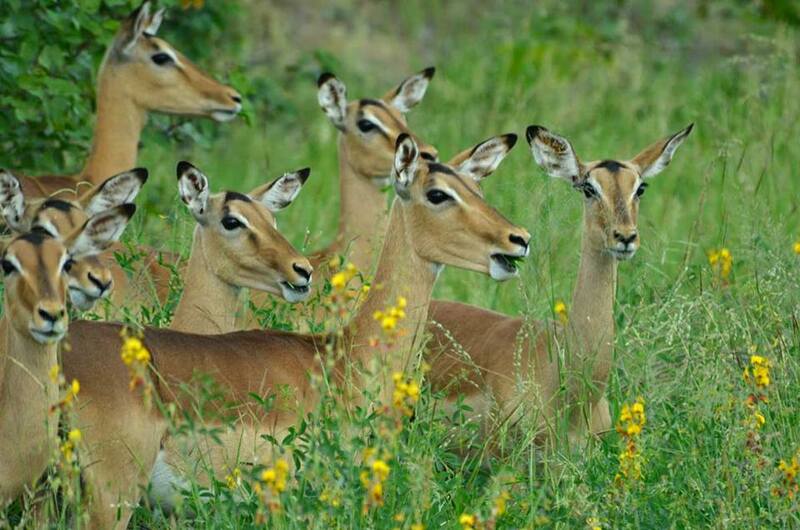 The kopjies (hills) offer a home to an array of wildlife… klipspringer, hyrax and leopards among other. The kopjes are also steeped in history with past generations living in and around them. The seasons are very evident in this area because of the mopane trees whose leaves change colour dramatically in the autumn. And because they lose their leaves entirely during the dry winter months you can see the wildlife far more easily, although it is distinctly dry and brown at the time. The northern area offers a uniquely different safari experience for guests. 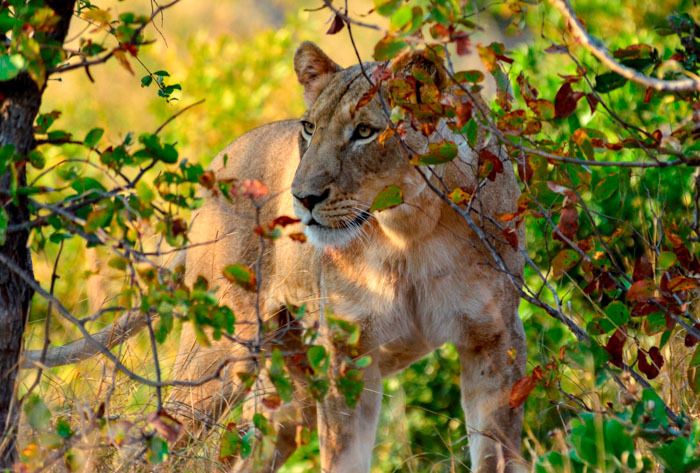 It is an area of unique biodiversity and great natural beauty, with a wealth of unusual fauna and flora, many of which you do not see in the rest of the Kruger Park. It's one of the few places where fever tree forests grow side by side with ridges of giant baobabs. The area is drier and more arid than the south, and the bush is generally more open, with great sweeping African vistas, although you will find areas of dense bush in places. It is the only part of South Africa that extends into the tropics. This area is a world class birding area and birders from all over the world visit it. There are several rare antelope in this area: Sunni, eland, roan, tsessebee and Lichtenstein’s hartebeest. The big cats are common but unfortunately they are not as easily spotted as in the central and southern areas of the park. 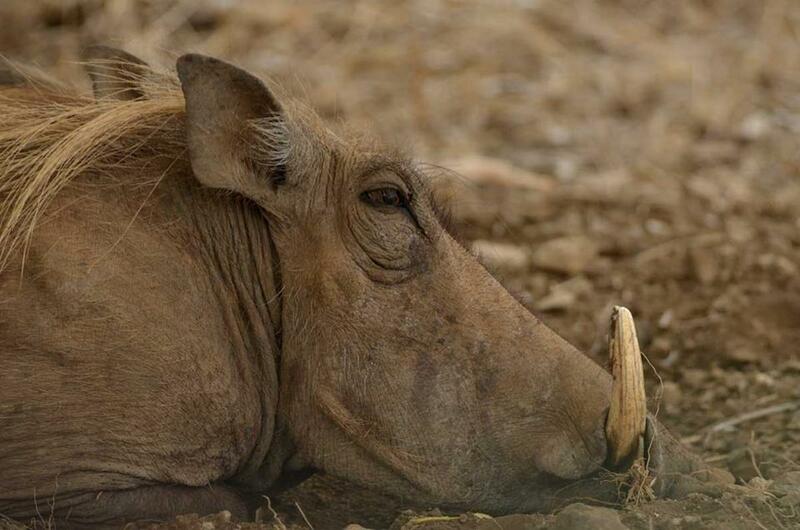 You have a good chance of spotting elephants, nyala, buffalo and general game, such as giraffe, zebra and warthogs. 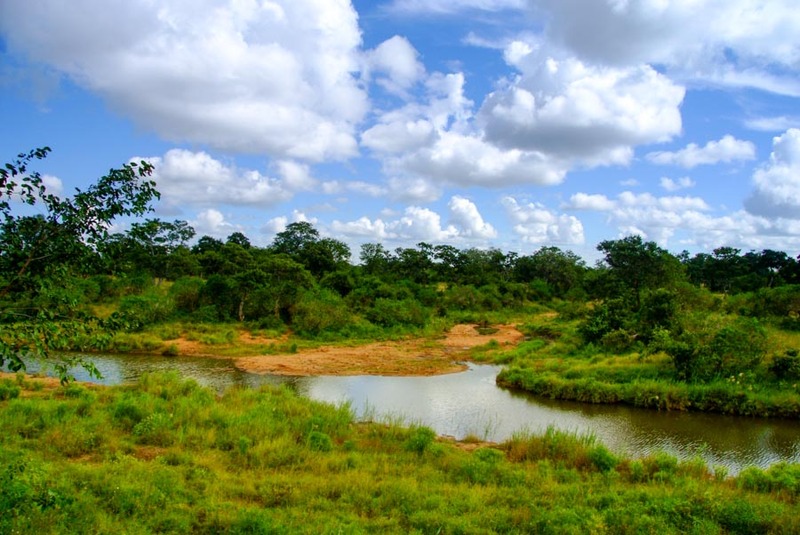 The meandering Luvuvhu River is one of the park’s most attractive rivers… and then there is the iconic Limpopo River which forms the northern border of the park. The Pafuri and Punda Maria regions are uniquely beautiful and have a “very old Africa” feel to them. 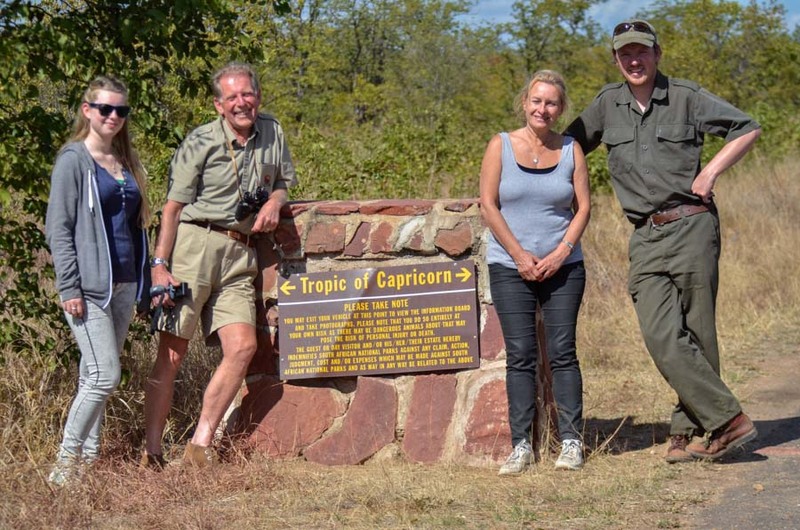 The famous Crooks Corner is at the top eastern corner of the park: you can stand there and see two other countries – Zimbabwe and Mozambique a stone’s throw away. There are also interesting archaeological sites to visit such as the Thumela stone-walled site near Pafuri.